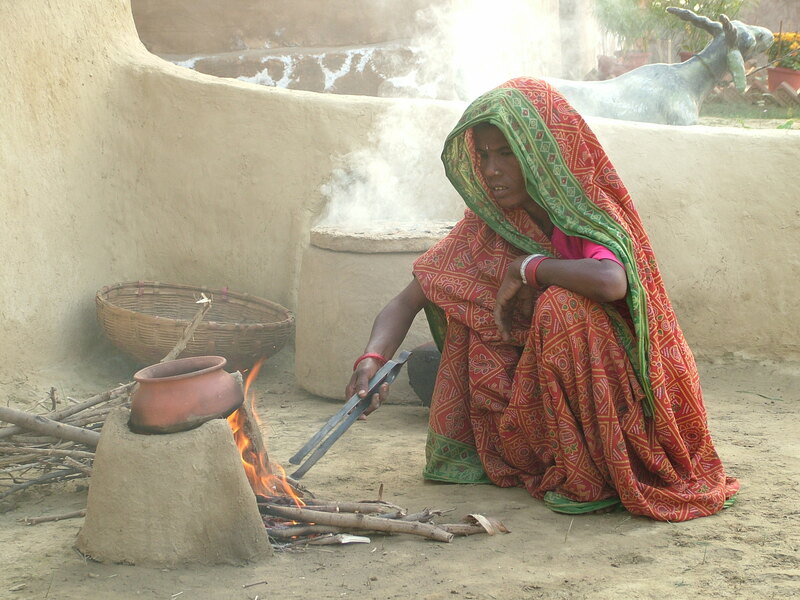 Rural Women – Poor Women – How little we know about Empowerment! As I travel through rural villages in Bihar, the state with highest poverty rates in India, my moral compass tells me – it’s time for a “reality check”. I work in the International Development sector. I talk about poverty eradication and social development all the time as if I was born to enlighten everyone and erase pain from this world. Sometimes, my trivial “self” blows hot air in my head and I feel like I REALLY know what it is to be a poor woman, especially in India. In my world, our types religiously follow this tag line – “social and economic development lies in the empowerment (development) of women”. After all women do most of the agricultural work (primarily in rural areas) and invest in the welfare of their children…something that Impatient Optimists graphic clearly depicts! Let me paint a brutally honest picture of women I had the privilege of meeting this time around. Imagine yourself to be a woman who has to walk long distances to find an isolated spot in the dark to go to the toilet, because your household doesn’t have a private toilet. Your every move is controlled by your husband to the point you cannot even go to a local shop on your own. You toil in the fields with the husband, take care of kids at home and then clean after everyone, yet you are greeted with abuses and assaults more frequently than human mind can imagine. That is the story of the majority of women I’ve met. 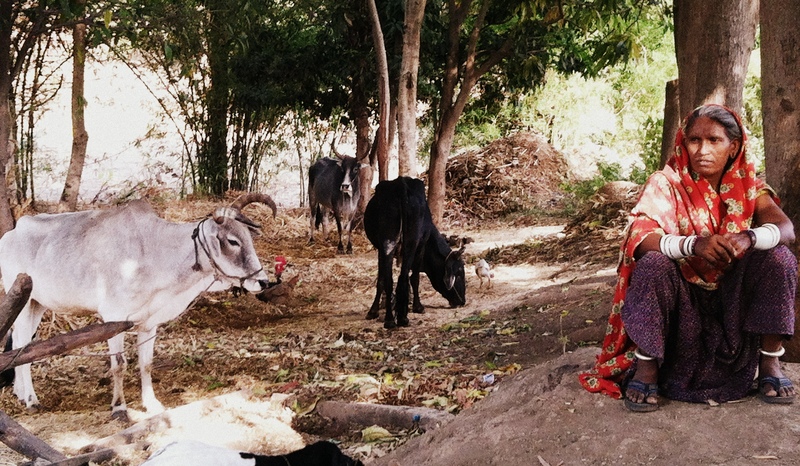 I intend not to preach, but life as a rural woman in India is not easy. Just recently, some women told me that they wait until nightfall to defecate or urinate because of persistent fear of sexual violence when they are out of their homes. Being raped while going to the bathroom? That is something that we can probably not imagine in our wildest dreams. Some women told me that due to lack of bathroom and water, they spend their days of menstruation in the cow shed or dark rooms. Unimaginable! Violence against women has become an unspoken and accepted feature in regular life. Wherever I go, I meet abused and battered women, but they never dare to report the violence. After much probing, some women share that they are beaten mainly when they refuse to take on more work for the household. Extra work? You pick any woman in rural India, and you will find that she works more than 14-16 hours a day, or perhaps more. They then endure violence at home for not doing more! The concept of empowerment is romantic. Empowerment is about valuing your own self, making your own choices in life. There is no doubt that we development professionals need to work towards women’s empowerment. That is much needed. If such a woman manages to live on, strive on with dignity at the end of the day, I realize I know too little about empowerment. Each day such a woman toils hard to put bread on her children’s plate and to send them to school. She endures this so that her children may have a chance at a better life. Yes, in the ideal context she should just leave…that’s what we all think! But where do you go when walls close in too quickly? There’s change happening…slowly but steadily! We hope that with investment in women’s education and financial future, women will have enough support to spread their wings and fly away. Until then, let’s appreciate and honor these women for being so “empowered” every single day! Here’s our favorite info-graphic about how hard women have to work in 1 day! It makes us appreciate our own lives so much more! This brings tears to my eyes. I cannot even imagine how this part of India survives, but the irony is that THIS IS the majority of it. Thanks so much for your kind words Chitra. As harsh as the truth is there’s still hope for change! Next Next post: Inspiring Quote – Remembering Dr. Martin Luther King Jr.